One of the most powerful things in our journeys to healthy curly hair is having people to inspire us and share them with. 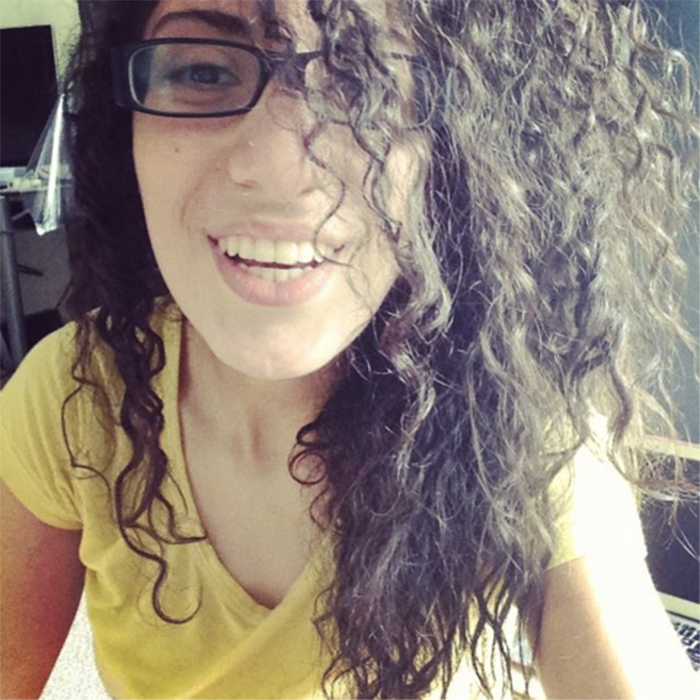 Social media is an extremely diverse and positive platform for this and today I'm having the amazing opportunity of sharing with you my interview with a very special curly girl from Melbourne, Australia. Her name is Mandy, also known as @thecurlcomplex on Instagram. Mandy has fine, 3b/c curls with low porosity and uses her platform to empower curly girls and guys of all kinds around the world. 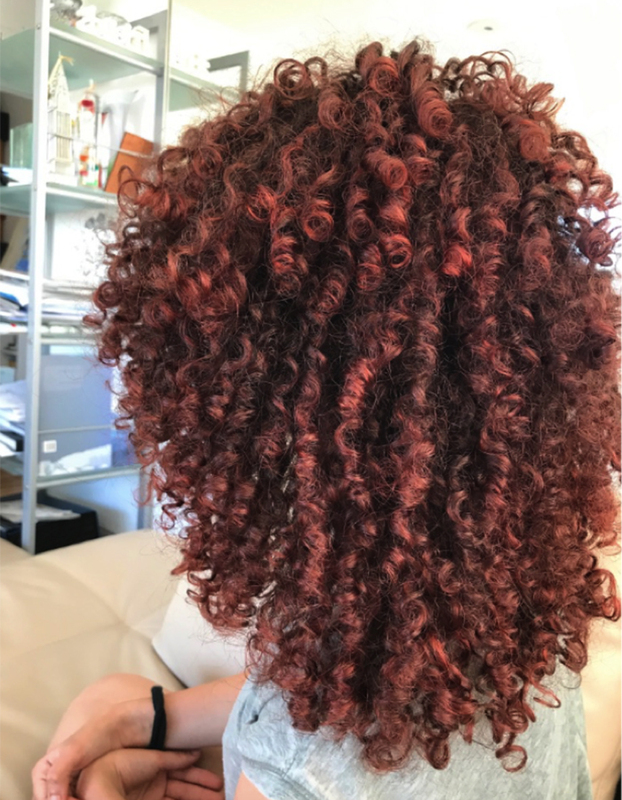 Just as it happens to so many of us, her hair changed from damaged to healthy with a routine, and as a consequence, she is committed to helping others as she walks her own journey of curl acceptance. Mandy with heat damage in 2013. Mandy, what was your biggest challenge growing up as a curly girl? 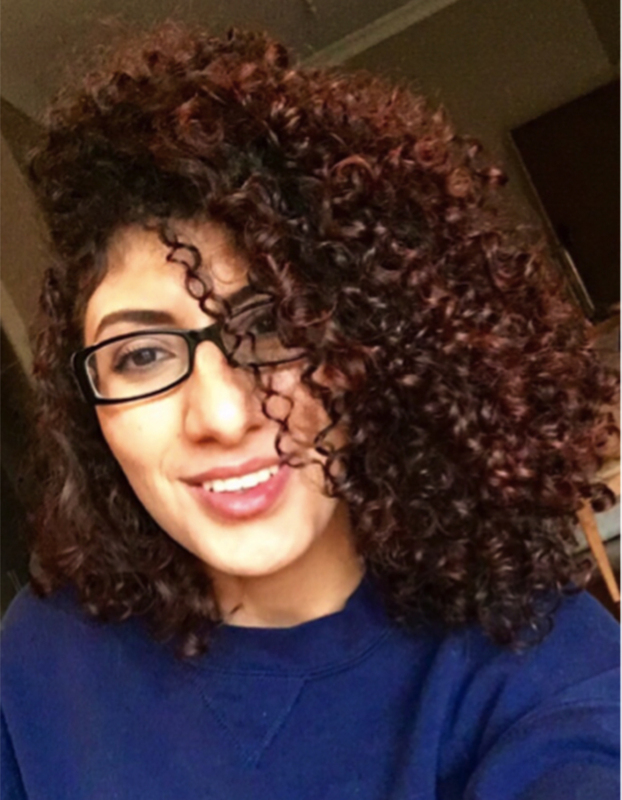 "Growing up as a curly girl presented many challenges, but I'd have to say that the biggest one I experienced was how much attention my hair attracted. Up until late high school I was severely shy and I guess that had a lot to do with generalized insecurity. So, anything that made me stand out or attracted attention was unwanted to me. People with curly hair understand that it is a very distinctive physical feature and often the first feature noticed by others. My hair was uncommon in the area of Sydney that I grew up in and that ensured significantly long stares in public areas and comments directed towards it (both positive and negative). 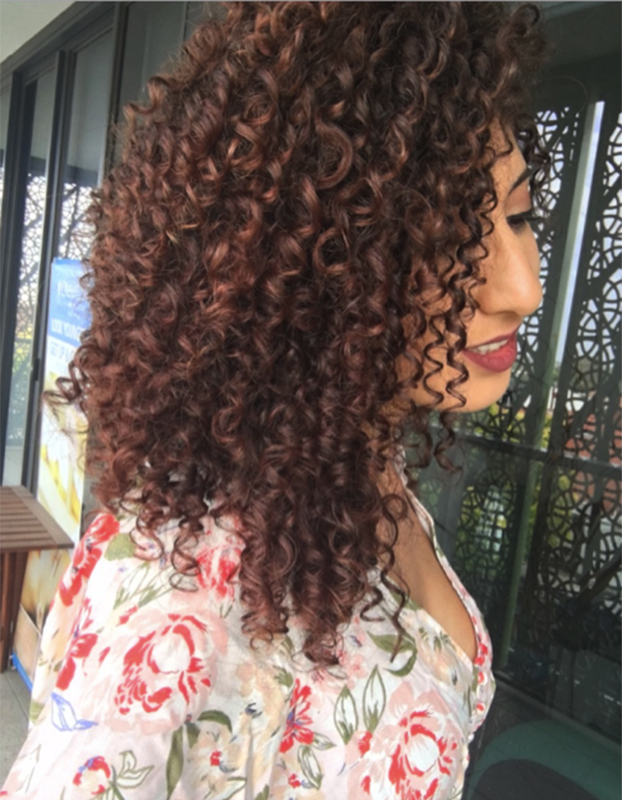 Curly hair is undeniably loud and as much as I've learned to embrace and even love it now, growing up I found it to be undesirable – desperate to just blend into the crowd." May 2015: Majority of heat damage was cut off, with a routine in place. What inspired you to embrace your natural texture and how did it happen? "Before the age of 21 I had a habit of straightening my hair for any event that involved photographs being taken. If I didn't have time to do the 3 hour process of straightening my hair, I wasn't going to that event. I would say I left my hair natural about 50% of the time and felt completely uncomfortable, ugly and unpresentable each and every one of those days. My self-esteem was highly intertwined with my hair's appearance and my perception of it. I knew my hair was a feature that made me different all throughout my childhood, high school and early university years, but I just felt like I couldn't get it to do what I wanted, when I wanted. That powerless kind of feeling. Then 2015 rolled around and life happened. Multiple life challenges, losses and hard times came my way and I distracted myself with random Youtube videos on all those sleepless nights (an anomaly I know many are familiar with). Then a recommended video popped up on my screen with a cover photo of a girl that had hair very similar to mine but it looked more polished and defined. Watching one tutorial led to watching dozens of natural hair tutorials. Prior to that night I had never heard the phrases "natural hair care", "curly hair routine", "wash and go", "deep conditioning", "cowashing" and basically anything relating to the curly hair world. I had no idea that there was a way to maintain and even have some input into how my hair might turn out after washing it. What started out as implementing 1-2 natural hair tips that were successful, slowly turned into a start to finish wash day, weekly hair care routine. The regular compliments and questions, as well as feeling like I had found a new sense of self (a more confident, unique identity) reflected by my loud hair, were the things that inspired me to truly embrace my natural hair. But initially, it was a lack of sleep, some time on my hands and being too lazy to continue to straighten my hair." Finger coiling every single wash day; I found this sped up my transition as it trained my curls to spiral. Having type 3 hair meant that finger coiling could get me close to my natural hair texture anyway. Deep conditioning once a week. Switching to minimal/no sulphate shampoos and minimal/silicone free conditioners and stylers. Actually using hair products on wash day (I used to avoid hair product like the plague… I think we all remember that crunch from mousse a parent would put in our hair, eager to help). Cold rinsing my hair at the end of my showers. In-salon Olaplex treatments with after care at home. Regular hair cuts to get rid of the damaged areas slowly, while mostly maintaining my hair length. Limiting myself to once a week wash days, so that I would stop drying out my hair. 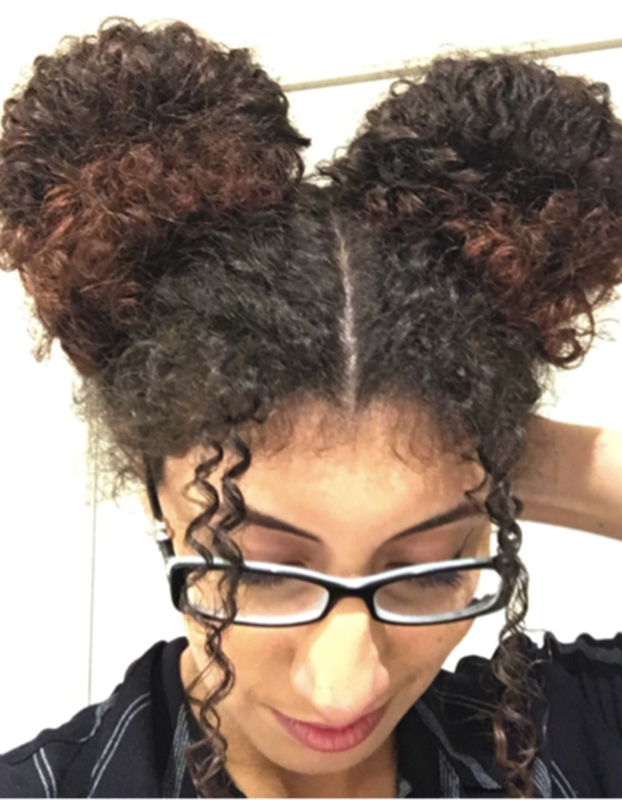 October 2017: Experimenting with simple curly hairstyles. 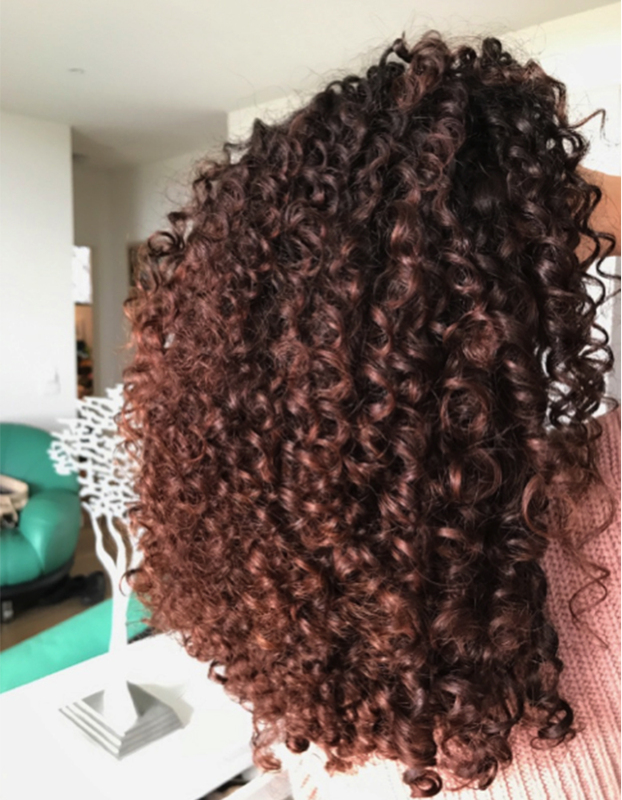 What are some mistakes you made along your curly hair journey, which you feel that others can learn from? "The whole curly hair journey is really a process of trial and error. I made lots of mistakes, but that's how I learned about what worked for my hair. The biggest mistake I ever made with my hair was actually well after I'd transitioned and even made my natural hair page. Life was getting busy and I was trying to find ways to break up the energy I had to put into my hair on wash day, but still maintaining a good hair care routine. I started to deep condition overnight with good results and continued to do this for about 6 consecutive wash days. What I didn't know at the time was that I was slowly, but surely doing damage to my hair by throwing it into what is called "hygral fatigue". I started to notice my hair becoming mushy, losing its structure, being extra frizzy no matter what I did and breaking off very easily. I definitely learned that there is truth to the phrase "too much of a good thing". Curly hair routines are about learning to balance your hair and doing everything in moderation." November 2017: After a specialized curly haircut and discovering a beach hair routine. January 2018: Wearing her hair naturally curly. What is some advice you would give to a curly girl that is transitioning? A change in their perception of beauty: Being able to recognize that what you think is beautiful has actually been constructed for you over years of media exposure to certain images. The best solution to counter this and start to embrace one's own natural hair is to make sure that you actively take control of what images you are being exposed to. Following dozens of curly hair pages on media that you use regularly and making sure you capture a variety of natural hair textures. Curly hair is beautiful because it is unpredictable, looks different every single day and no one can have the same exact hair as you. All those little bits and pieces we were encouraged to dislike about our hair are what make it so beautiful in reality. A journey of self-care and self-love. This is actually why I'm so passionate about natural hair. It's because I have grown to believe (mostly from personal experience) that the whole natural hair journey is a journey of learning to care and love yourself from the outside in. Looking after your natural hair can be a very therapeutic process because it teaches you to let go of things you can't really control, see the beauty in imperfection and difference, investing time and energy into a part of yourself and nurturing it back to health. It teaches you that taking shortcuts rarely works and that you have to listen to the needs of your hair as it present itself and work with what it's trying to tell/show you. So, take your time on wash day, find a way to make it enjoyable rather than frustrating and remember that the journey to healthy natural hair is an investment in yourself. Finding or creating your own support network. When I started my hair journey, Youtube was my friend. Natural hair pages on instagram were far and few. Those people transitioning now are so lucky to have access to an active and live community that they can ask questions to in real time. I've made so many amazing friends because the natural hair community is a very unique. It is so unbelievably supportive of anyone who wants to be part of it. It's a very positive place to find help, to find support when you are lost with your hair and a place that really empowers women and men from all parts of the world and backgrounds. For more tips about transitioning and inspiration in your natural hair journey, follow Mandy on Instagram at @thecurlcomplex. Her page is filled with helpful information and motivational posts. Best Hairstyles and Products for Type 3 Curly Hair This Is What 20 Photos of 3b Hair Looks Like 20 Curlies Rocking Their 3C Hair!